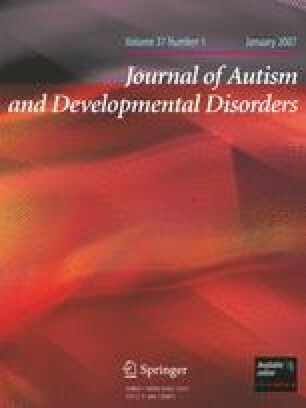 Thirty-one infant siblings of children with autism and 24 comparison infants were tested at 6 months of age during social interaction with a caregiver, using a modified Still Face paradigm conducted via a closed-circuit TV-video system. In the Still Face paradigm, the mother interacts with the infant, then freezes and displays a neutral, expressionless face, then resumes interaction. Eye tracking data on infant visual fixation patterns were recorded during the three episodes of the experiment. Using a hierarchical cluster analysis, we identified a subgroup of infants demonstrating diminished gaze to the mother’s eyes relative to her mouth during the Still Face episode. Ten out of the 11 infants in this subgroup had an older sibling with autism. This study was supported by National Institute of Mental Health (NIMH) grant number MH068398 to S. Ozonoff, P.I., a National Association for Autism Research (NAAR) grant to S. Rogers, a Cure Autism Now (CAN) grant to S. Rogers, and Medical Investigation of Neurodevelopmental Disorders Institute (MIND Institute) grants to S. Rogers and to N. Merin. We wish to thank the families who took part, Mary Beth Steinfeld, Jeslin West, Joel Steele, and the contributions of undergraduate students Linh Dang, Joseph Marsano, Kawshalya Pathiraja, Alex Rajan, and Maryette Sabater. We are grateful to Scott Johnson, PhD., New York University, for sharing infant eye tracking methods with us, and to Darwin Muir, Ph.D., Queen’s University, and Daphne Maurer, PhD., McMaster University, for their input in the development and design of the experiment.